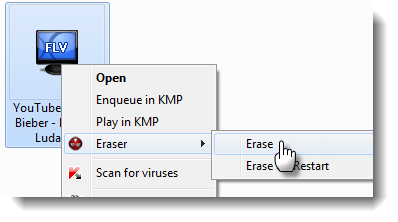 When you want to delete a file permanently, install eraser and then Right click on the file which will be deleted and click on the Eraser then select Erase. 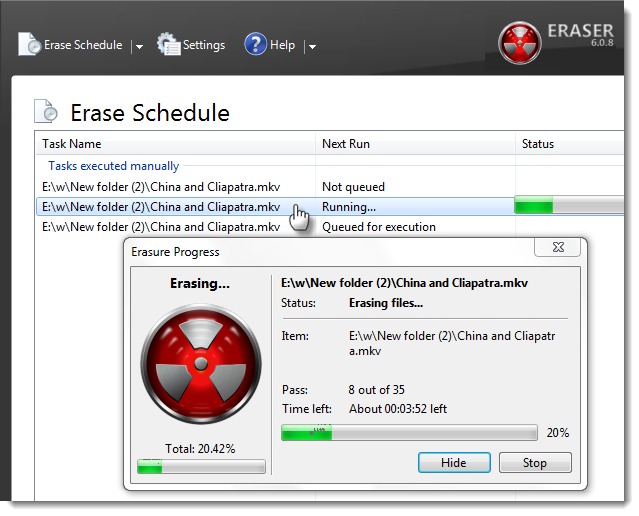 Go to the Eraser and click on Erase schedule, then Double-click on the currently deleting file. This is an optional step but you can see small window that erasing the file. When you delete file using Eraser, it overwrites the sectors of the hard disk with junk data over again continuously so this deleting process may take some time depending on your system hardware's and the number of files and folders in the hard disk. Click on the settings tab to change settings. Here, you can specify a method for deleting files.